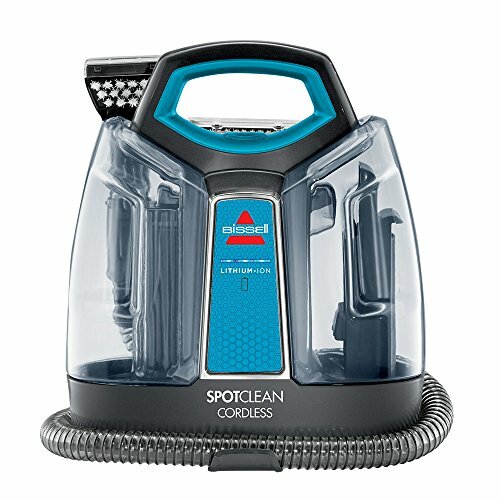 The spot clean cordless spot cleaner is perfect for removing spots and stains from those hard-to-reach areas that are always difficult to clean. Its portability makes it ideal for use on upholstered and outdoor furniture, car interiors, and more. The 3-n-1 stair tool makes it easy to clean corners, edges, and treads of carpeted stairs. Powerful scrubbing technology gets down deep to ensure that stains are permanently removed. With lithium-ion battery technology, you'll enjoy 20-minute run times and rechargeable performance with every use. Plus, we've got you covered with a 2-year limited warranty.